Old Monterey Foundation, Padre Trails Camera Club and Myrick Photographic recently teamed up to hold a special Lower Presidio Historic Park Photo Contest. Dozens of outstanding entries depicting various scenes in the Lower Presidio Historic Park were submitted and judged by Stephen Myrick, owner of Myrick Photographic and Liza Linsao of the City of Monterey and owner of Liza Linsao Photography. The photos were judged by the basic elements of a good photographic image, composition, exposure, subject interest, sharpness, and creativity. Thanks to all photographers who participated, and for sharing their photographs with the Old Monterey Foundation. The Old Monterey Foundation is pleased to announce that Estéban Restaurant at Historic Casa Munras Garden Hotel & Spa is celebrating Monterey’s 246th Birthday and benefiting Old Monterey Foundation. Dine at the outstanding Esteban Restaurant on Friday, June 3rd between 5 pm – 10 pm and 10% of the food sales will go toward Old Monterey Foundation! . Estéban Restaurant located at historic Casa Munras Garden Hotel & Spa is the heart of authentic Monterey dining, offering a unique culinary experience. Serving traditional Spanish-inspired cuisine with a pinch of adventure, Estéban Restaurant invites you to sip, savor, and share by the warmth of the fireplace or in the relaxing outdoor patio. In the process, your entertainment dollars will help to fund the operations of Old Monterey Foundation and the development of the Lower Presidio Historic Park. Eddison & Melrose Tea Room, located at 25 Soledad Drive in Monterey, will be hosting a special Birthday event will to be held on Wednesday, May 4th from 11:00 a.m. – 2:00 p.m. celebrating the actual birthdate of Audrey Hepburn with a fun-filled Breakfast at Tiffany’s Open House Event. Guests are encouraged to wear their favorite black dress & bling! Prepaid reservations are $25.00 per person. $5.00 of the ticket amount will be donated to the Old Monterey Foundation (a 501(c)3 non-profit – see details below). Complimentary Champagne will be served at the event along with High Tea fare and a showcase of new teas that will be carried at the Eddion & Melrose Tea Room. For a prepaid reservation, mail a check to Eddision & Melrose, 25 Soledad, Monterey, CA 93940 or call (831)393-9479 or email cuppa@emtearoom.com. For more information about Eddision & Melrose, go to www.emtearoom.com. Old Monterey Foundation was formed in 2011 with the specific mission and purpose of promoting, supporting and enhancing the artistic, cultural and historic environment of historic Downtown Monterey, California. 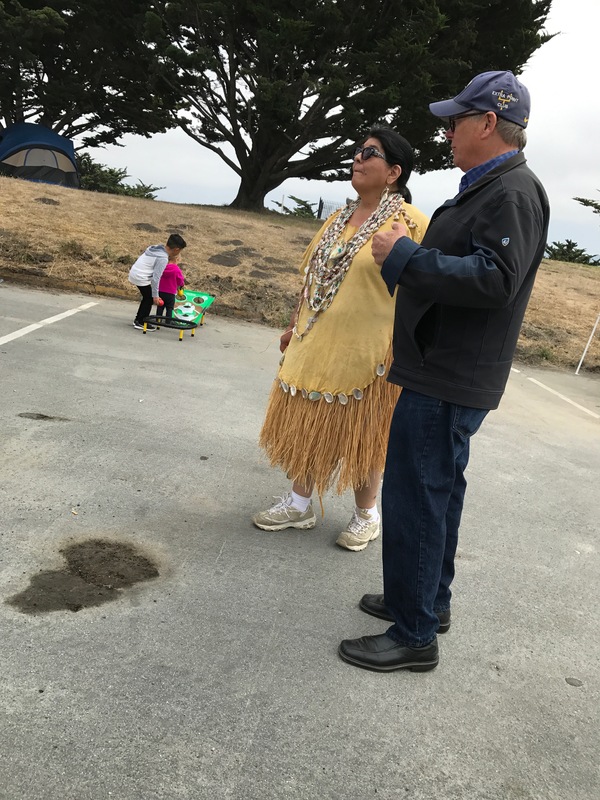 One of their major projects is the enhancement and development of the Lower Presidio Historic Park, described as “One of the Most Historic Sites on the West Coast” and “One of the Most Beautiful Views Places in Monterey” to be enjoyed by locals and visitors. Old Monterey Foundation, in cooperation with the City of Monterey and Department of the Army, has raised initial funds to begin Phase One of the project to enhance and restore this historic 25.3-acre site and is now seeking public donations to help complete Phase One of the $850,000 project through donations to its “Friends of the Lower Presidio” campaign. They are also raising funds to restore the historic Father Serra statue with additional security. Donations may be made at oldmontereyfoundation.org by following the instructions for donors. The Lower Presidio Historic Park is one of the least-visited historic parks in the area due to some confusion about whether the public is allowed in the area. Situated in a “hidden in plain sight” location, the park features spectacular views of the Monterey Bay and Harbor and will become a jewel of the City of Monterey’s park system. Old Monterey Foundation recently launched monthly “Lower Presidio Historic Park Walking Tours” on the 3rd Saturday of every month from 10:00 a.m. – Noon with historian Tim Thomas. It is holding a “Lower Presidio Historic Park Photo Contest” throughout the month of April. Details are on www.oldmontereyfoundation.org. For more information, go to www.oldmontereyfoundation.org or call 831-521-2313. Karen Anne Murray of Eddison & Melrose Tea Room, Catering & Granola has provided catering, personal chef services and her award winning Karen Anne’s Granola to the Monterey Peninsula for over a decade. The Tea Room serves both Afternoon and High Tea (by advance reservation) and has become a favorite for locals and tea travelers who enjoy English born and raised Chef Karen Anne’s traditional scones and teatime fare. Karen Anne Murray of Eddison & Melrose Tea Room, Catering & Granola has provided catering, personal chef services and her award winning Karen Anne’s Granola to the Monterey Peninsula for over a decade. Karen Anne’s Granola is currently sold at the Eddison & Melrose Tea Room, Whole Foods, Grove Market, Cornucopia, Nielsen Brothers, Brunos, Star Market and numerous California specialty grocery stores. There are currently five delicious flavors available with more on the way: Almond Pecan, Cranberry, Cranberry Harvest, Golden Walnut and Coconut Orange. 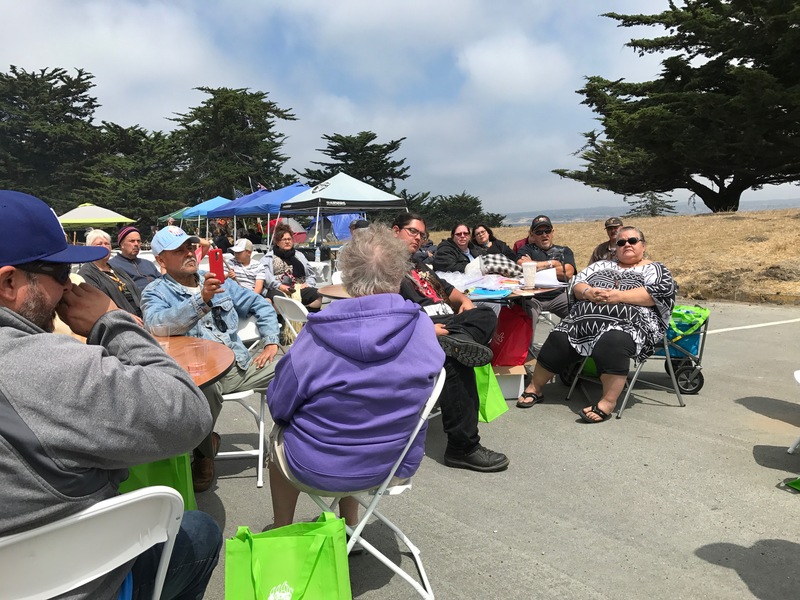 April 2 turned out to be a bright, sunny day at the Lower Presidio Historic Park and the Pilates Party with Bagpipes, Fusion and Serra was a great success. An estimated 80 people attended during the 2 hour event and the order of the day was enthusiasm for development of the Park and its recreational opportunities. PILATES MONTEREY was the main attraction with a display of new equipment and classes for beginners and seasoned players. Spread out on mattes and tarps on the knoll overlooking the Monterey Harbor, participants were challenged by expert instructors to stretch their limits in three sessions spread over the two hour event. Master Bagpiper MICHEL d’AVENAS entertained those in attendance, together with passerbys on the Recreation Trail, with traditional Scottish music and a virtuoso performance. Refreshments were provided by FUSION, with its unique blend of Asian healthy food for sale. 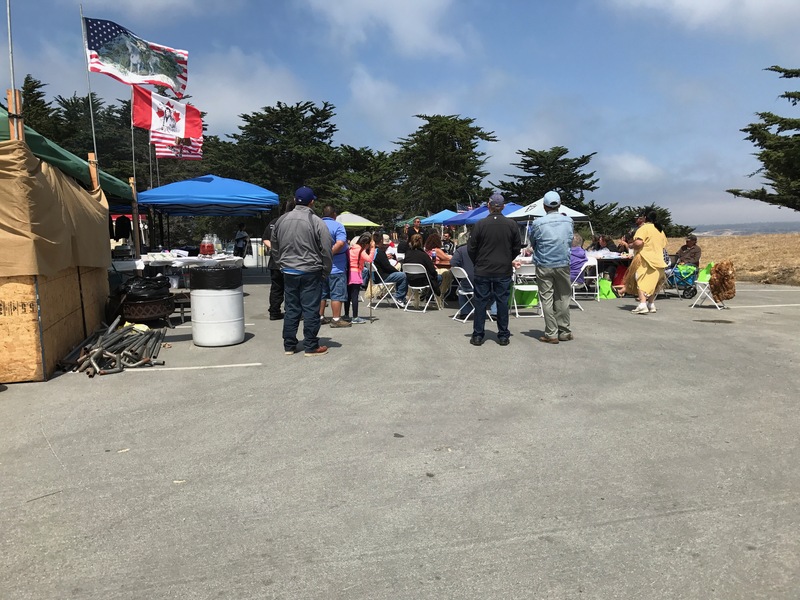 And there were plenty of visitors in attendance just to see what was going on at the Lower Presidio Historic Park. Board members of the Old Monterey Foundation manned an informational table to explain plans and prospects for the Park. Several interested citizens purchased memberships in the Friends of Lower Presidio, making this a most worthwhile day on our calendar.